The Jonathon Baldwin Turner (JBT) Scholarship is the premier scholarship program of the University of Illinois College of Agricultural, Consumer and Environmental Sciences (ACES). For over 30 years, scholarships have been awarded to outstanding incoming freshman on the basis of leadership, good citizenship, and scholarly achievement. Applicants must meet minimum academic requirements and then participate in a scholarship interview. JBT scholarship recipients may be awarded up to $10,000 over four years. The Chicago Section IFT Jonathon Baldwin Turner Scholarship is designated for a student studying food science. CSIFT currently contributes $8000/year to this scholarship and the contribution is enhanced by $2000 from the College of ACES. CSIFT began its support of this scholarship in 1987 with a $1000 donation. Since support began, CSIFT has provided continuous annual support and contributed over $114,000 to this Scholarship Fund. Over this time, 30 JBT awardees have benefitted from CSIFT support. 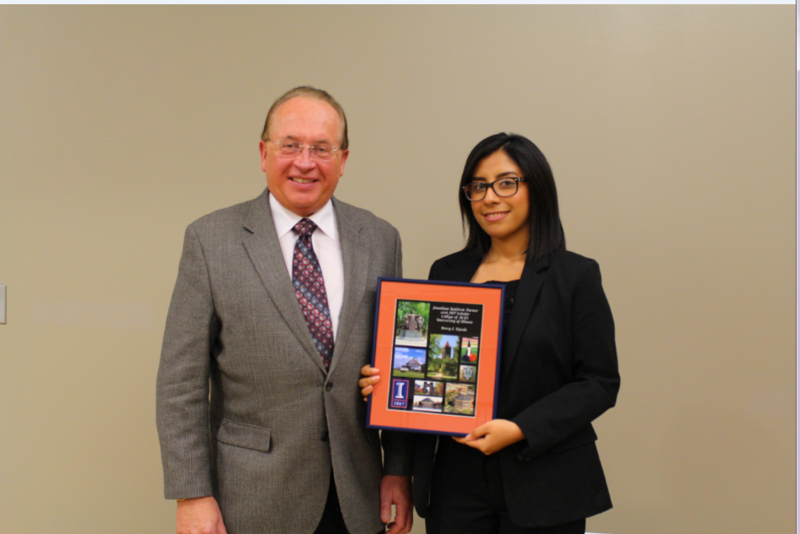 In 2016, Rossy Tejeda, a freshmen food science major, received the CSIFT-sponsored JBT Scholarship. Below is the complete list of recipients. For more information on the Scholarship, open the “Background and Information” tab.